Capcom serves up a collection of classic games in Capcom Classics Collection. You can relive more than 20 classic titles including 1942, Final Fight, Ghosts ‘n Goblins, and Commando. The games can be played in either one- or two-player mode. 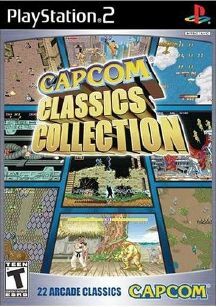 Capcom Classics Collection also includes bonus material, such as remixed soundtracks, game tips, and original artwork.